The Saco River is full of fun activities. Canoing, kayaking and tubing. 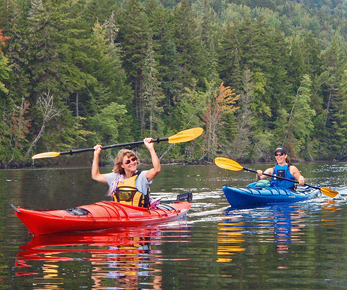 Spend a beautiful day paddling or floating down the gentle waters of the Saco River. Along the way enjoy a nice picnic on the sandy beaches and take in the great views. A great activity for the whole family. 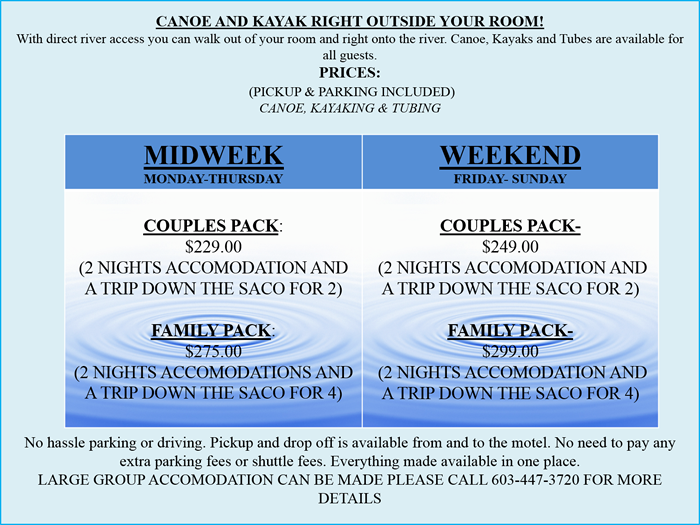 Please call us for great saco river rental prices. 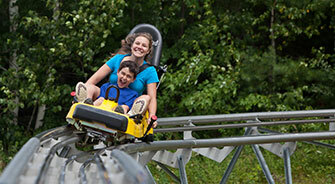 New Hampshire's Orginal Summer Fun Spot. 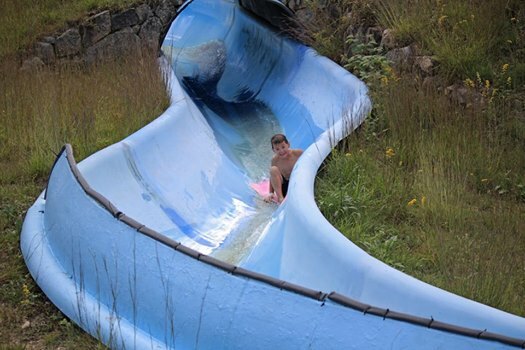 Loads of fun for the entire family; Mountain Coaster, Alpine Slide, Waterslides, Horseback Riding, Moutain Biking, Climbing Wall, EuroBungy Trampoline, Scenic Chair Ride Slacklines, Airbag Jump and much more. Whether you are looking for a rigorous outdoor adventure, a fun filled family vacation, or just a quiet or romantic get-away, Conway NH and the Mount Washington Valley area has just what you are looking for.